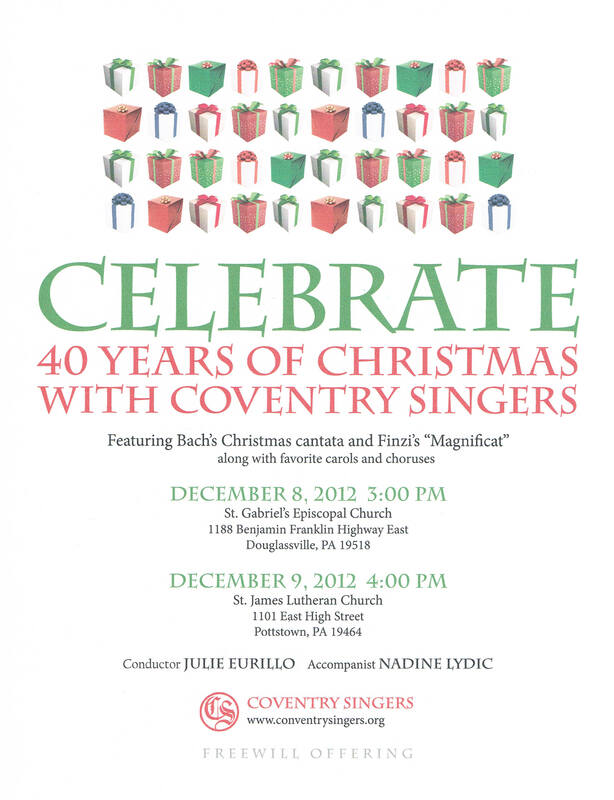 Celebrate 40 years of Christmas with the Coventry Singers! On December 8th and 9th The Coventry Singers continue to celebrate their 40th Anniversary by performing Christmas favorites. This year’s concerts feature Bach’s Christmas Cantata No. 142 and Finzi’s Magnificat as well as familiar favorites such as Sing We Now of Christmas and Ding Dong Merrily on High. There will also be a carol sing-a-long with the audience. 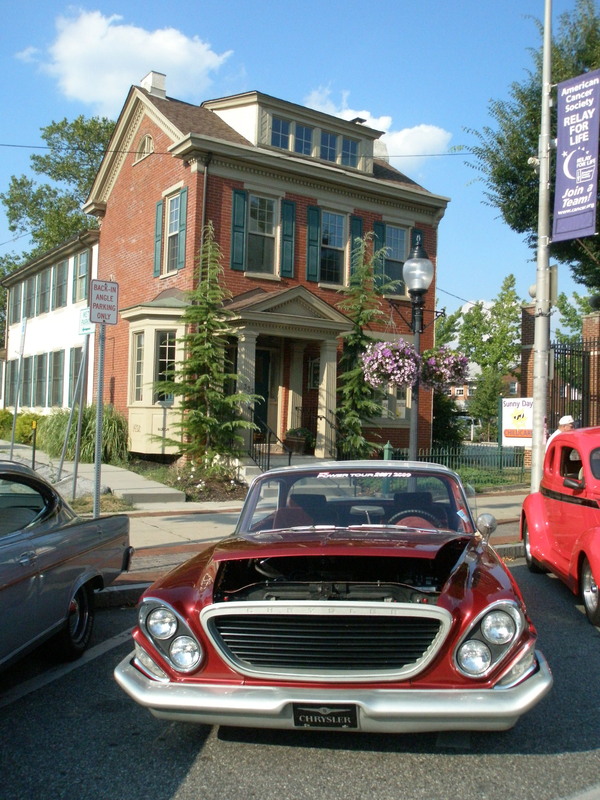 The concerts are free to the public, but free will offerings are accepted.